In a Nutshell: Despite the crucial role it plays in health and mental benefits, quality sleep is not as highly prioritized as nutrition and exercise in the minds of many Americans. Experts argue that sleep is more important than both, and most Americans simply do not get enough of it. Chronic sleep deprivation can contribute to various diseases, such as diabetes, sleep apnea, and Alzheimer’s. Lack of sleep can also sink your career — or at least your work productivity. With this in mind, we turned to the Better Sleep Council, whose mission is to promote understanding and research on sleep, for tips on improving sleep, from choosing the ideal mattress to avoiding electronics before bedtime. Though experts know quality sleep as “the greatest elixir,” America remains a sleep-deprived nation. A 2016 study led by the Centers for Disease Control found more than a third of Americans get less than the recommended seven hours of sleep each night. Many conditions have been linked to chronic sleep deprivation, including sleep apnea, diabetes, and even Alzheimer’s disease. Poor sleep also affects daily functioning, a problem you’re likely already aware of if you pulled any all-nighters in college. The National Sleep Foundation’s Sleep Health Index in 2014 found that 45% of Americans said poor sleep affected their daily activities at least once in a seven-day period. Not surprisingly, sleep deprivation negatively impacts workplace productivity. One study found that lack of sleep costs the US $411 billion annually and 1.2 million in lost work days. An article from the National Sleep Foundation suggests making sleep a priority can also help advance your career. Specifically, getting more sleep — and better quality sleep — can help you recover from distractions faster, prevent burnout, make better decisions, improve your memory, and make fewer mistakes. 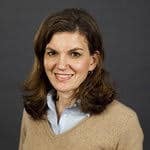 “People don’t realize the impact of sleep on the brain,” said Mary Helen Rogers, Vice President of Marketing and Communications for the Better Sleep Council, a consumer education group representing mattress makers that also conducts sleep research. “We realized there was a lack of understanding about sleep, health, and wellness, and how important it is to have the right sleep surface (and) environment,” she said. While some benefits of sleep are obvious, like feeling more energized, many are more subtle. Some experts say sleep is more important than nutrition, exercise, and stress control. According to one expert, sleep deprivation directly impacts our epigenetic markers, or the ways in which the environment affects genetic expression — the rules by which cells live. Ultimately, these changes can affect disease susceptibility. A good night’s sleep — both in terms of quantity and quality — also helps your brain. “You need to go through all stages of sleep; it’s like detoxing your brain,” Mary Helen said. In all, there are five stages of sleep: four stages of non-REM, or rapid eye movement sleep, and a final REM stage in which dreaming occurs. The Council has various recommendations for getting clean sleep, which are based on bedtime habits, such as doing yoga, drinking hot, relaxing tea (instead of caffeinated beverages or alcohol), aromatherapy, and sleeping in a dark room. Going beyond bedtime habits, it’s also important to consider what you’re sleeping on. The quality and wear-and-tear of a mattress depends on a lot of factors, she added, including what materials it’s made of, how big you are, whether you sleep alone, and how frequently you sleep in it. For instance, those who travel a lot might not spend as many nights in their beds. Although mattress preference is very personal, the tell-tale symptoms of sleeping on a worn-out mattress are similar. 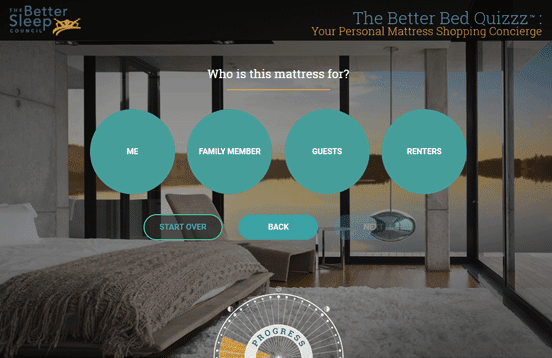 The Better Sleep Council’s Better Bed Quiz helps consumers better prepare for mattress shopping. So, how do you choose a suitable mattress? The Better Sleep Council provides a better bed quiz that covers details of what kind of mattress you sleep on now, any health conditions that may affect your sleep patterns, features you are looking for in a new mattress, and the size of your room. 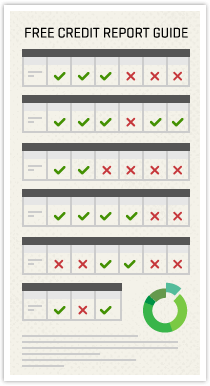 Based on your results, you are given a list of criteria to look for when you go to the mattress store. Ultimately, though, the best strategy is trying out various mattresses to see what feels right. Once you find a mattress that you like, read up on the product features. In the end, the price point is also a consideration, but, with the amount of time you spend in bed and how important sleep is to well-being, a quality mattress should be viewed as an investment. The Better Sleep Council works with sleep expert and nurse, Terry Cralle, to provide tips for improving sleep. As part of their partnership, Terry released a comprehensive, A-to-Z guide to better sleep. While there are too many to cite in this article, a few interesting ones include taking a warm bath an hour or so before bedtime, turning the face of your alarm clock away from your line of vision, and stopping your alcohol intake three hours before bedtime. While one drink can help you fall asleep, it can ultimately disrupt your sleep patterns during the night as your body metabolizes the alcohol. Other tips include sticking to a bedtime routine and powering down your electronics — both your computers and smartphones — at least an hour before bedtime, and keeping your bedroom clutter-free. Also, drinking chamomile tea, using essential oils like lavender, and journaling or engaging in some other winding-down activity can help. If any of these measures sound tedious, remember how much better you feel when you’ve had a good night’s sleep — and how much more productive you are at work. After all, a lack of sleep can seriously affect your work quality and cost your employer in the process. A 2011 study in the Journal Sleep found insomnia is associated with substantial workplace costs. Depending on the type of job, insomnia can even be dangerous. A 2012 study in the Archives of General Psychiatry found the average costs of insomnia-related accidents and errors were significantly higher than those of other accidents and errors.